Locals George and Suzie Dyer, who own the popular South Pine Café and Pine Street Burgers, are going to open a second hamburger restaurant across from the Pine Creek Shopping Center in Grass Valley. 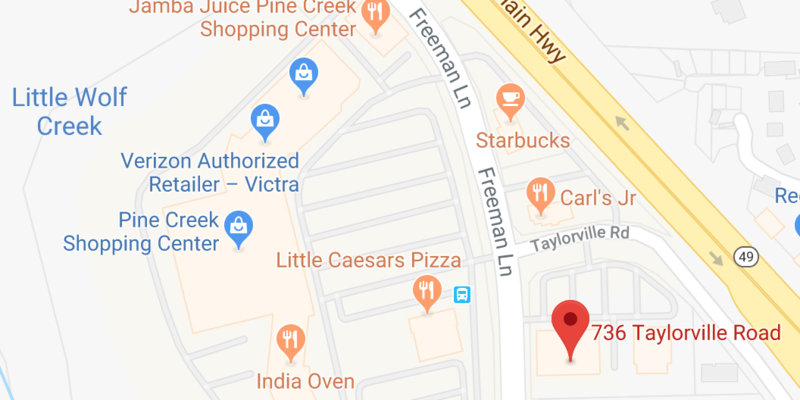 The second Pine Street Burgers will be located at 736 Taylorville Rd., Suite D (see map). 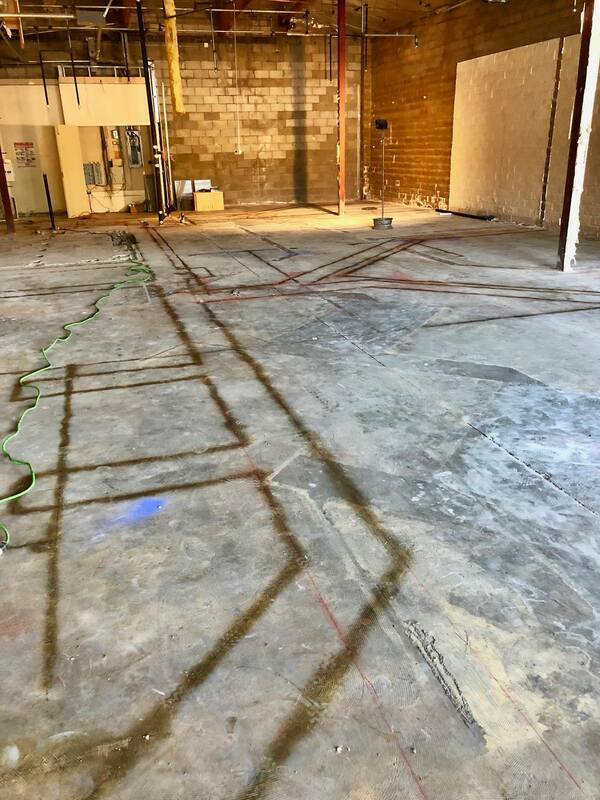 Interior renovations of the building, once a Bank of the West, are underway. The Dyers hope to open this summer, but it’s too early to tell. 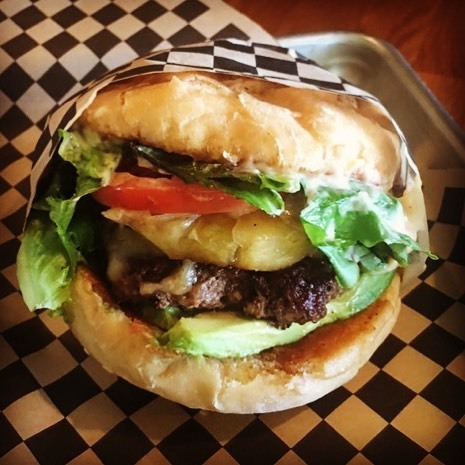 The second Pine Street Burgers comes amid a “boomlet” in local restaurants, including the Stone House, the Thirsty Barrel Taphouse & Grille, Lefty’s Fry House and the ‘ol Republic Roadhouse. The original Pine Street Burgers opened in August 2013, featuring all-natural burgers, house-made vegetarian burgers, buns without additives, hot dogs, wraps, fresh salads, and hand-scooped, all-natural shakes. It quickly drew a loyal following and is considered one of the best burgers in town. What’s the PSB difference, the Dyers ask? “We feature Durham Natural Beef, free range chicken, Max’s artisan burger buns, Dryer’s Vanilla Bean Ice Cream and Coco-Bliss dairy free ‘ice cream. '” The restaurant also offers online ordering. We enjoy the “Smoldering Pine Burger,” with bacon, chipotles, grilled onions, mushrooms and swiss cheese, and the “Asian Chicken Salad,” fresh romaine, grated parmesan cheese and crunchy noodles topped with grilled sliced free range chicken breast served with asian dressing on the side, among other items. The Dyers opened the South Pine Cafe in Nevada City in 1996, and later a second one in Grass Valley. “Our idea was to create a restaurant that would appeal to any type of clientele, from the biscuit and gravy connoisseur to the vegan, and anyone in between,” as George has said. Plus it’s just really good food put out by local people! Any idea when the Los Mineros spot will reopen? It’s been shuttered for about a year now. Leaving it empty is a another blight on our downtown Nevada City, donchathink? I don’t know. I don’t worry too much about that small space being empty. My focus is on the National Hotel, which soon may be sold and the Alpha Building across the street. (The paint job has helped a lot). I’m also grateful to Reinette Senum for routinely organizing town “cleanups,” which including sweeping, power washing, painting and so on. And the flowers planted on the boardwalk are wonderful too. The National and the Alpha? Between the two I’d reckon it will take several million to bring them to code. Thank you to whoever is stepping up to save this town. The National may be sold soon; not the Alpha, though. The second restaurant opened earlier this week. More details in the upcoming issue of our magazine. Kudos to George and Suzie!